Looking for properties with availability within the next 28 days? A self-catering holiday home or cottage in Scotland can be defined as a self contained property offering clean, comfortable, furnished accommodation for visitors who are also provided with the means to prepare and cook their own meals. 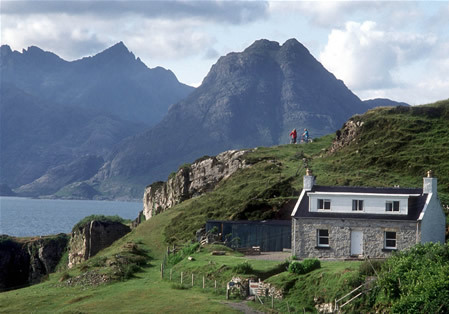 Scottish Self-catering properties give you the freedom to live your day as you wish, and to enjoy a holiday program of your choice. Overall quality assured to the declared ‘Star’ level by annual inspections from VisitScotland, the Scottish Tourist Board. Separate space for sitting and living , in addition to kitchen facilities and bedroom(s) and bathroom(s). Availability to rent by the week (seven nights), for a short break (2-3 nights) or by the night, according to the individual business concerned. A self-contained ‘home from home’, but not normally any ‘room service’, daily maid service, concierge or staffed reception. We look forward to sending you the latest Self-Catering holiday news and offers in the future!